Growing up with small-town roots, between big city living and backcountry roads, it’s no wonder Rory Sullivan developed a unique mix of musical taste. His blending of sounds, ranging from the versatile guitar and songwriting of James Taylor, husky voice of Marc Cohn, and contemporary pop sensibilities of John Mayer, allows Rory to create music worthy of the icons that preceded him. 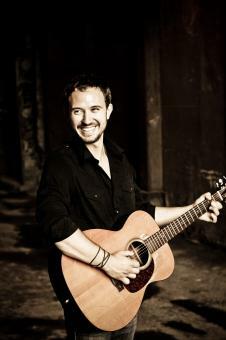 His debut EP “Here All Along”, produced by Grammy Winning Producer Will Ackerman released Aug 2009, features Sullivan’s acoustic roots and songwriting while his latest studio release “Rory Sullivan and the Second Season” produced by Justin King in Brooklyn NY, released Jan 2012 features his music with full band production. Rory Sullivan relocated from Delaware to NYC in 2011 and then to Chicago in the Fall of 2012 to begin the next phase of his artistic journey. This past year Rory took the Grand-Prize for the Cd Baby Songwriting Contest ranking over 3,000 songs, winning over $10,000 in prizes including a flight to NYC for a recording session. Rory took home again yet another Grand-Prize for the Sara Evans Songwriting Competition, awarding him a Facebook feature by Sara herself, thousands of dollars worth of prizes, and ranking over 3,000 other songs. “I’m always drawn to songs with amazing lyrics, songs that really make you feel emotion or you feel like you’re right there in the middle of it. “Ride The Rails” by Rory Sullivan really struck me the first time I heard it.”, said Sara. Sullivan has spent the majority of months of 2013 touring and writing and recording his new album set to be released next year. He just released a new single entitled “Better Now” for the motion picture “Finding Seoul” and is in the top 20 for the Durango Boots Sole Performer Contest.